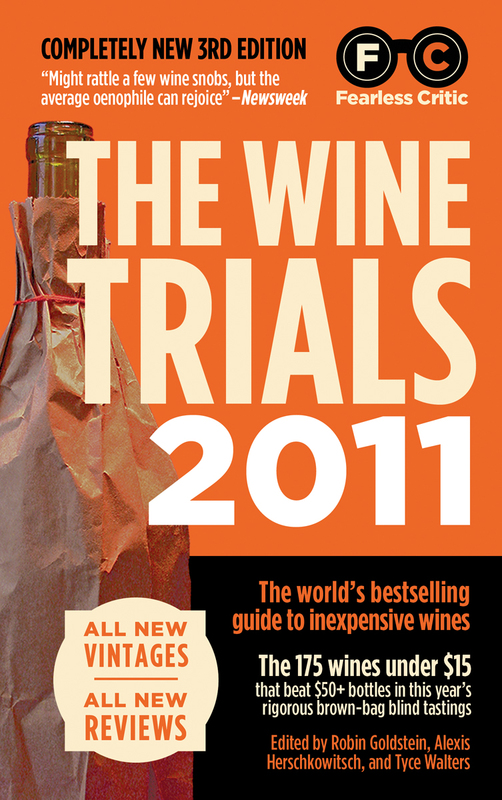 The Wine Trials 2011 is an interesting book. 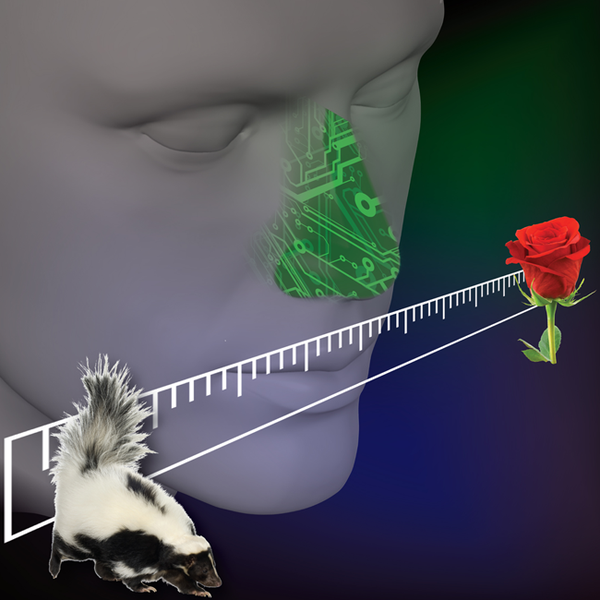 It has two basic premises, which it purports to support with scientific research. The first is that people, both wine experts and regular wine consumers, are so subject to the placebo effect that they cannot accurately judge the wines they like without tasting them – blind. The second is that people, when tasting wine blind, prefer inexpensive wines to their more costly brethren. Indeed, they go so far as to say there is no reason to purchase expensive wines. Therefore, they limit their reviews to wines that retail for $15 or less. The book is broken up into two sections, a discussion of methodology and support for the underlying hypothesis, and the reviews. This review will be similarly divided. The heart of the book is a belief in blind tasting that boarders upon the devout, even the religious. Unfortunately, it uses science, or apparent science, to support polemics, rather than studying the science before reaching conclusions. The authors of the book assume that people prefer less expensive wines. The support for this conclusion is found in studies that are based upon small tastes, and in one case upon tiny sips through a straw while prone in an MRI machine. From this the authors conclude that all wine tasting should be done blind, with no information about the wine, and in small sips. Not only is this not realistic (for who buys half a dozen bottles at a time each time they want some wine with dinner? ), but it also does not reflect how people drink wine. They drink it by the glass, not the sip. Why does that matter? It is the difference between initial impressions and lingering flavors, quick tastes or lingering drinks, preferably with a meal. To understand the difference without the mystery and fear that surround wine, imagine a very comparable food comparison. On a blind tasting, just one bite, three chews, then spit, how many people would pick a McDonalds cheeseburger, sweet with ketchup and a bleached white bun, tangy with a touch of mustard, with the scientifically formulated smooth, silky mouth-feel of artificial cheese, over a mutton chop from Keen’s Steakhouse in New York, or a chateaubriand from Bern’s in Tampa? But would it be as good on the third bite, or the fifth? Would you choose it as a favorite meal, even with a blindfold on? For most people, the answer is “no.” But look at the instructions they give, “encourage tasters to pour two-ounce (why?) portions, to take at most one swallow of each wine, and to spit on repeated tastes.” The tasting method favors initial impressions over drinking the wine, the McRib over a rack of lamb. It also does not allow for the combination of food and wine, an essential part of wine tasting. Food is more than the thing you eat with wine. Food can actually alter the taste of wine. For an excellent discussion of how rare meat actually changes the way the mouth senses tannins, read What Wine Goes With Red Herring, by Arthur Przebinda, in Palate Press: The online wine magazine, The Best of the Press: Volume I. A zealot’s belief in blind tasting in small sips, sans food, all but guarantees that the greatest food-friendly wines, those that not only complement food but actually make the food better while the food improves the wine, will not be judged fairly. This is not to say that there is not a place for blind tasting, for there is, but unless it is done with a clear idea in mind of how food and wine interact, it is an exercise for the sake of the exercise, not to find the great wines of the world or the great wine bargains of the world. But to surrender, instead, to the siren song of marketing and price signals—to buy what you’re told to buy—is to withdraw your own brain from free participation in our market economy. It is not just self-destructive. It is, to me, un-American. Tannins are not a “quality,” like “fruity,” or “aromatic.” Tannins are an element of wine, molecules actually in the glass. They derive from grape skins, seeds, and stems. Tannins are an important part of red wine. They are also the element that make some red wines, mouth-drying when sipped alone, such marvelous pairings with red meat, as discussed above. This refusal to acknowledge the importance of food with wine runs throughout the book. It also raises another question. Throughout the book the writers note how wine professionals like bigger, more tannic wines in the blind tastings than non-professionals. They never take into consideration, though, that the professionals might be evaluating the wine with the knowledge of how they would change and pair with food. That same ignorance is also on display in the wine reviews. Several of the wines were clearly flawed. A flaw may indicate a problem with a specific bottle of wine, rather than simply wine poorly made. A competent taster would identify the flaw and, where appropriate, not judge the label and vintage poorly, but instead set aside the bottle as flawed, and if extreme to the point of undrinkable, “faulty.” The truly curious thing about this book, though, is that it was clear that several bottles were flawed, and not only were they reviewed, they were actually recommended. Without naming the wines, for no decent reviewer would write about a flawed wine, these reviews were included as recommended wines. The book also recommended wines that were, just based upon the tasting notes that came with the recommendations, not very good. Do any of these sound like something you might want on your dinner table? Again, I will not name them, for if I lack confidence in the reviews I will not malign the wines in Palate Press. Cabernet Sauvignon: “Our blind tasters found it a bit green and suggested it could use a few more months before being drunk.” Wine made from unripe grapes will not become less green and more fruity with additional time in the bottle. Chenin Blanc: “Our blind tasters picked out the aromas of grass, minerals, and even lemon Pine-Sol.” Minerals are not aromatic, so it is quite unlikely anybody picked up “aromas of minerals.” See Taking Our Vitamins and Minerality,” by Evan Dawson, in Palate Press: The online wine magazine, The Best of the Press: Volume I.
Cabernet Sauvignon: “It’s astringent and tannic, with pine, mint, and a bit of fruit.” A good young Cabernet has more than “a bit of fruit,” and should not taste of pine. Pinot Noir: “The fruit is so ripe it almost seems corked.” First, a corked wine has little or no fruit flavor, not an over-ripe jammy flavor. Second, this is a recommended Pinot Noir, a wine that, at its best, shows a delicate balance of fruit and terroir, not a blast of over-ripe fruit. Sparkling: “Some of our blind tasters even wondered if it had too much acidity, which almost never happens.” Wines can be too acidic, not acidic enough, or right on. Wine made from unripe grapes can be too acidic. Wine can also be over acidified during the winemaking process. Viognier: “One blind taster thought it might have just been a well done Chardonnay.” Either the wine was completely off varietal correctness, Viognier should have a deeply fruity flavor (Fruit Loops are a perfect identifier), or the taster knows nothing about the variety. Either way, how could this be recommended? For all the deep commitment to blind tasting, one other trend showed in the reviews. Every wine was tasted blind and every review came with food recommendations. How, though, did they blind taste boxed wines? Curiously, the boxed wines all had similar food recommendations, for inexpensive every day or picnic foods, including sloppy joes, meatloaf, and hamburgers. Bottled wines with similar flavor profiles came with recommendations for “a great big steak,” or if it called for a burger it often called for venison, buffalo, or even lamb burgers. The Wine Trials 2011 has some interesting information. Unfortunately, the militant insistence on one form of blind tasting, multiple bottles, small sips, quick impressions, and no food, is not only unrealistic for most wine drinkers, it is also bad advice. For people who have not studied wine in some depth, people with the ability to project in their minds how a wine will change with food or with age, the method does not test the quality of the wine. The weakness of the method shines through in the actual reviews, where flawed and badly made wines were recommended to unsuspecting readers. David, for what sort of audience do you think this book is intended? Neophyte wine drinkers looking for affordable buying recommendations? People who have been “conned” into buying more expensive wine but would rather pay less? Are the reviews written in a “peer-to-peer” style, by people who don’t understand wine, for people who don’t understand wine? A sweeping review, and yes, I noticed the flaws in descriptions and wine component information. I think the authors do go too far when they step out of their knowledge base–then again, their audience hasn’t the knowledge to evaluate the author’s knowledge, so it might be a wash! I would love to know the true methodology behind the experiments. I think that omission is the Wine Trial’s greatest weakness. FYI: To do truly blind tastings, the wine should be presented to tasters in a glass–never from a package, brown bagged or otherwise, which is how you can blind taste boxed wines. Still, the logistics of the true blind method is formidable, and Wine Trials, like magazines and critics, employs a less pure blind tasting method. The entry of food into the discussion is a red herring (excuse the pun). With rare exceptions, most wine reviews are done without food, and whether or not reviewers are thinking of the food when they take their tastes, how many of them have the sensory training for either evaluating wine or evaluating wine with imagined food pairings? Goldstein claims that the last 500 wines were tasted by a panel of professionals, presumably the same kind of people that would do regular professional wine evaluations. So, they are operating on the same level as magazines and other reviews, no? Contrary to what the wine reviewing profession likes us to believe, product quality is not something that can be evaluated differently by two or more evaluators. Quality can be measured against standards, but since there are no identified and codified quality standards that the wine evaluation community follows, most reviews and criticisms have less to do with quality and more to do with personal opinion. In the end, personal opinion is what the Wine Trials seems to also promote. No, it was not written peer-to-peer. The book presented itself as based upon wine and science expertise. Fair points all the way around. My notes about food come less from the tasting notes than the discussion, where the authors reject any validity to the importance of food pairing. Your point about quality being subjective identifies my biggest problem with the book. It is one thing to believe a heavily-wooded Chardonnay is “good” or “bad,” but it is another entirely to recommend a wine that is clearly badly made or flawed, like a Viognier that tastes like Chardonnay, Sauvignon Blanc that tastes like “asparagus in lemon juice,” or another that tasted like pickle juice.” Assuming the tasting notes are accurate, those notes indicate objectively, not subjectively, poor wines. In a wine culture that has catapulted personal opinion as THE arbiter of quality, I don’t see how an argument can be made against any entity that claims wine descriptions without offering analysis either to back up or to refute them. In other words: one man’s pickle juice could in fact be another man’s Lafite! Wine reviews and wine ratings are all about marketing. They are subjective. Most wine consumers don’t understand how wines are rated and reviewed. This book is interesting only in the sense that it is easy to refute every premise. Thanks for a well-written review. Perhaps I have been living under a rock, but I can honestly say I have never heard of any of the editors of this book. Why should I care what they think? This same sort of semi-informed “this is the only way to evaluate wine” spew echoes around the internet every day. Background noise. I tend to think that unless you’re selling the wine, it’s all noise. The best reviews within the noise are the funny ones, and the ones that tell stories. Because, yes, we prefer to form impressions about wine in top-down fashion. I realize this sounds counter-intuitive to trust the seller. If you’re selling it, you’re putting your actual credibility on the line much more so that if you’re just stating a review in a magazine or web site. No, I trust the retailer reviews more than the critics because money is changing hands and trust is at stake. I would like to see 600 professionals, people who actually make a living writing about wine, put into the same environment with the same blind wines, and see what they come up with. As with the 1976 tasting of Paris, I suggest these experts would be just as confused as were their French counterparts in Paris on seeing the results. Well-written review! A couple of comments: in Oregon, varietal wines (esp. Pinot Noir) must be 95% varietal, not the usual 75%. Flaws should be recognized, but even they can be endlessly debated (some people love brett, to cite one example). My take on this book (and its previous edition) – it’s a clever marketing gimmick designed to appeal to less knowledgeable, budget-driven wine drinkers who are being coddled with the impression that they are outwitting the “experts”. All the pseudo-science is simply fluff and padding around that basic message. I guess it works – the book sells well. But for $14.95 you can buy some very nice wines. Nice article and review , there are a lot of things I will agree you were right about except one. Each state has different laws about how much you can blend and still call it by a varietal name. In most states you are correct it is a 75/25% combination. In Oregon it is 90% with only 10% other varieties allowed and still call it Pinot Noir or Pinot Gris. I cannot speak for other wineries but the Willamette Valley wineries where I have worked and the ones where I personally know the winemaker do not add other juice other than Pinot Noir to their wines they call Pinot Noir. Thank you for that point. I will note the accuracy of your comments in the story. Paul, I agree with you in your overall evaluation of the book. Very good stuff, David. Mr. Goldstein has been evasive and terse in his public interactions for his previous book, and I would love for him to address the points you make here. But I doubt he will. Goldstein has also “been evasive and terse in his public interactions for his” current book as well. Over at 1WineDude, there is a thread on the current book where I asked Goldstein a number of questions concerning his methodology. In his response to my comments and questions, he failed to respond to much of it. David, Liked your review and the comments from others. My take on the book was that it was written to be more AGAINST Wine Spectator and others than it was FOR promoting cheaper wines. Seems like the author had a “bone to pick” with those magazines. Also, blind taste tested, with food, alone or any other way, you’d never get me to agree that Columbia Crest Grand Estates Merlot is better than Pride Mountain Vineyards Merlot,(just for examples), but each have their place in my cellar!